Artificial Intelligence is finding its way into every corner of data science. It’s an incredible asset for handling large amounts of data. There is still room for other methods, though. Data scientists were working long before artificial intelligence became a functional option, and there are applications that don’t especially benefit from contemporary AI. Data Science is the general practice of using scientific methods to find patterns in or draw insights from data. It covers everything from preparing raw data for use to presenting results from analytics. The relationship between the two is that artificial intelligence powers more efficient and accurate data science. Static visualization doesn’t change with time. It must be specifically edited to include new information. Some examples are printed charts or graphs. Dynamic visualizations are based on a dataset that may change, like a graph that displays the results of streaming analytics on a dashboard. Visualization is enormously useful for finding patterns, discovering unexpected correlation between features that may lead to other lines of inquiry, and explaining complex data to non-data scientists. The problem with the traditional approach to data science is that there’s so much data to be analyzed and so few data scientists to do it. Non-intelligent methods are very talent- and time-intensive. They can take too long to produce results when answers are time-sensitive. Artificial intelligence does require data scientists to set up and monitor, but the algorithms can power real-time analytics usable by non-technicians. That shortens the gap between when data is produced and when it’s interpreted into actionable insights. For that reason artificial intelligence will become more- not less- connected as the field matures. 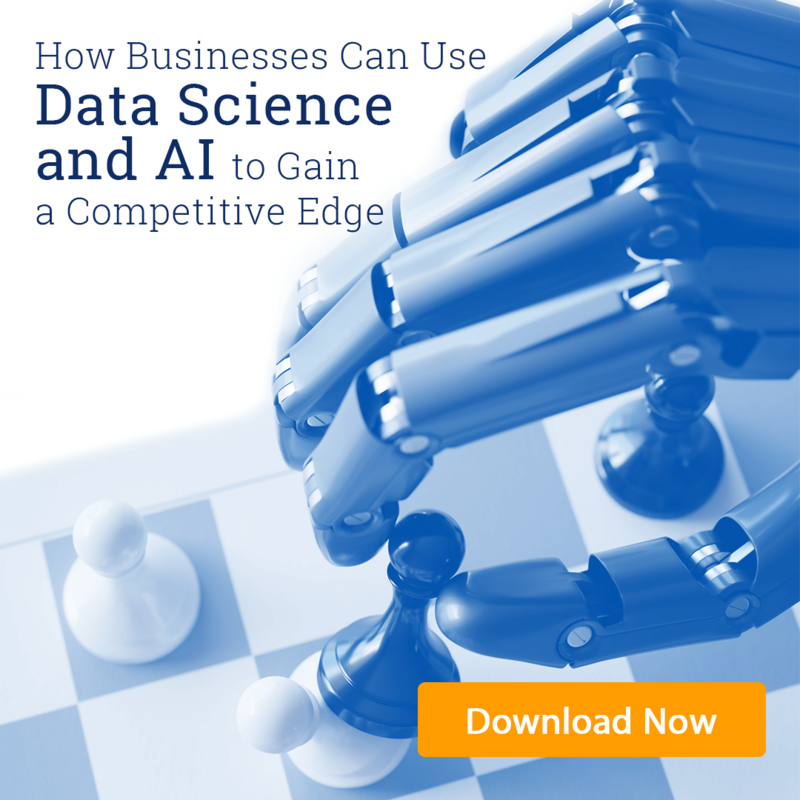 Is your data science strategy producing the results you need? Concepta can help you implement an intelligent system to turn your data into decisions. Contact us for your free consultation!